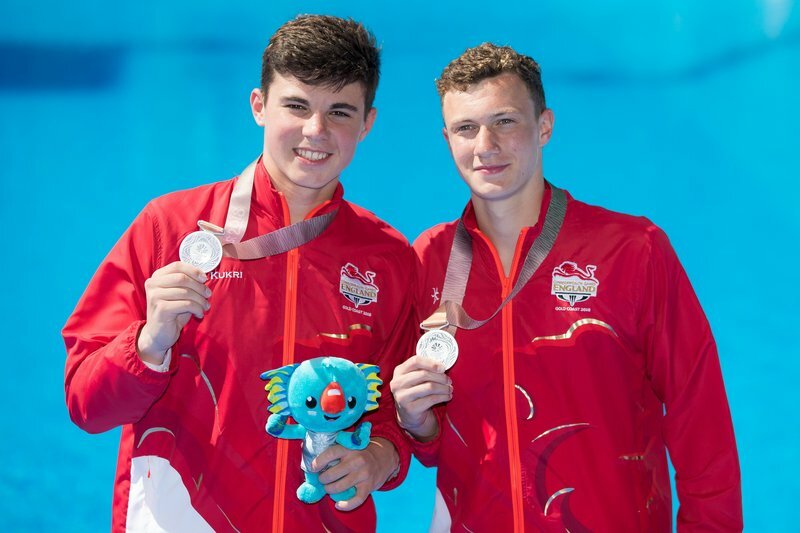 PLYMOUTH’S Matthew Dixon and his Great Britain diving partner Noah Williams held their nerve to win an impressive silver medal in the platform synchro event at the World Junior Diving Championships in Kiev on Saturday. The British pair went into their final dive knowing they needed to score at least 70 points from their back two-and-a-half somersault and one-and-a-half twist in pike position to make the podium. And they managed to do just that, scoring 72 points to finish second behind China’s Zheng Li and Junjie Lain. Li and Lian scored 328.55 points to comfortably win, but the other medals positions were up for grabs right until the death. In the end less than two points separated second from fourth. Dixon and Williams finished on 304.65 points, with the Ukraine pair of Yevhen Naumenko and Oleh Serbin taking bronze with 304.08 points and Canada’s Laurent Gosselin-Paradis and Nathan Zsombor-Murray finishing fourth on 302.76. The synchro medal has set Dixon and Williams up nicely for their individual competition on Sunday. After this weekend the pair, who won a Commonwealth Games silver in April, will link back up with the Great Britain senior team for the European Championships in Edinburgh. Meanwhile, fellow Plymouth diver Victoria Vincent admitted she was delighted to reach the final of girls’ A one-metre springboard at the World Junior Championships. She qualified third for the final, but eventually had to settle for 10th spot in Kiev. However, having nearly quit diving last year after getting told she could no longer compete from the platform due to an eye injury, Vincent was just delighted to be back mixing it with the world’s elite. She had previously won the British senior title, competed at the Commonwealth Games and been a European junior champion in the platform discipline. After competing in Kiev this week, Vincent said: “This time last year, I was injured, had been told I couldn’t do 10m anymore, my coach had left and I thought that it was time to quit. However, I decided to come back to the sport, once again, with one aim of making it to a Junior World final.